Bharatiya Janata Party (BJP) leader Subramanian Swamy on 5 June said that law is equal for all and everyone should develop a respect for it. "You cannot distinguish between media people, politicians, doctors, etc. If you have broken the law then you have broken the law. We have to develop respect for the law, and for that, we have to make it clear that nobody is above the law. 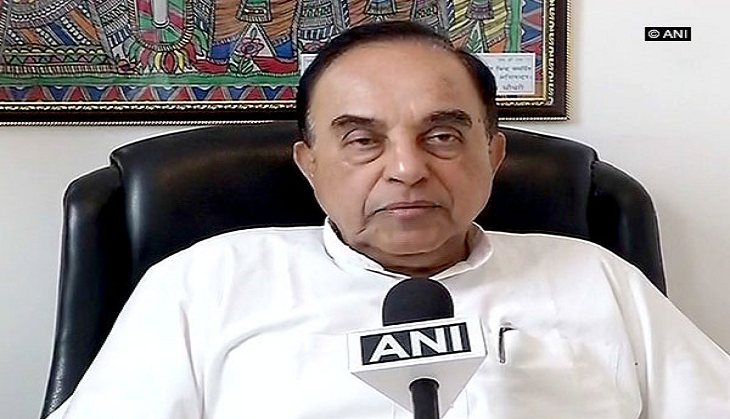 Fear of the law is necessary and it will be applied no matter who you are," Swamy told ANI. "When all these high-profile people are raided then the common man feels that if such people can be the subject to prosecution then what will happen to them. People will automatically become honest," he added. Congress leader Oscar Fernandes said everybody knows what's going on in the country, adding the media have to decide what should be done. The Central Bureau of Investigation (CBI) today registered a case against Co-Founder and Executive Co-Chairperson of NDTV, Prannoy Roy, his wife Radhika Roy, a private company and others for causing an alleged loss to ICICI bank. Meanwhile, the caretakers at NDTV co-founder Prannoy Roy's house in Dehradun said that around six to seven people from the CBI came in the morning and searched the house. CBI searches were being conducted at four places owned by Roy and NDTV, including Delhi and Dehradun.